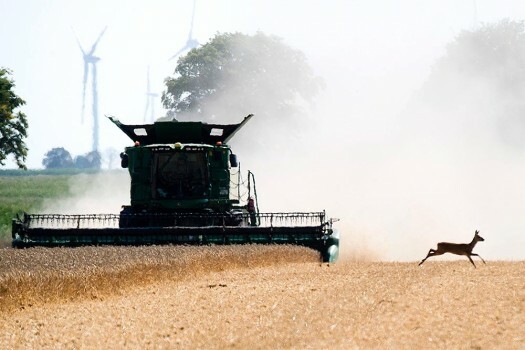 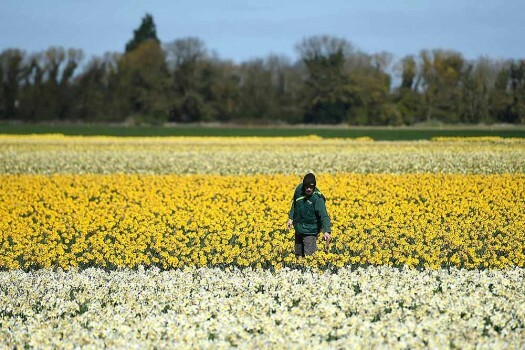 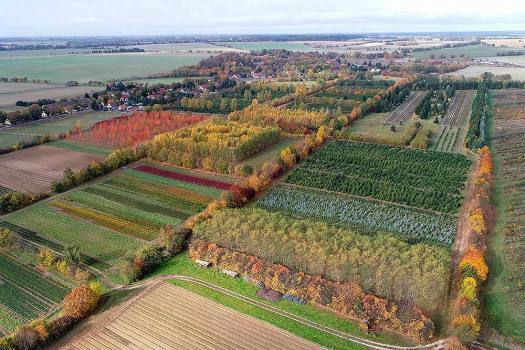 A farmer prepares his field for asparagus in Beelitz, Germany. 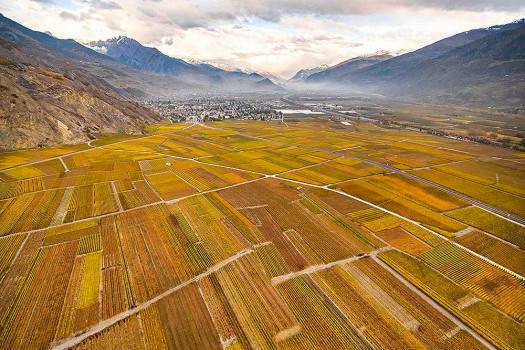 In this aerial photo shows a colorful patchwork of deciduous vineyards shedding their leaves as colder winter weather settles in Leytron, Switzerland. 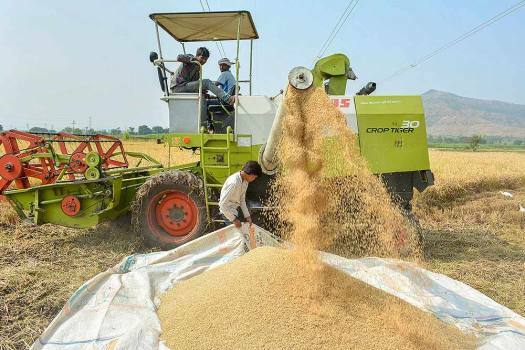 A farmer feeds harvested crop into a thresher as a worker collects de-husked rice at a field, in Karad. 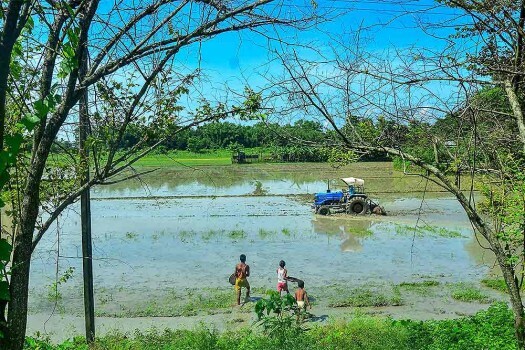 Children try to catch small fish as a farmer ploughs his paddy field with a tractor at Ghograpar, in Nalbari district of Assam. 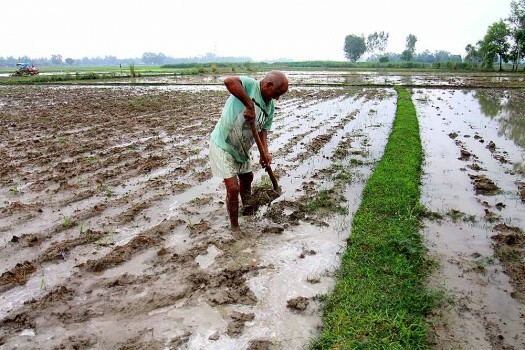 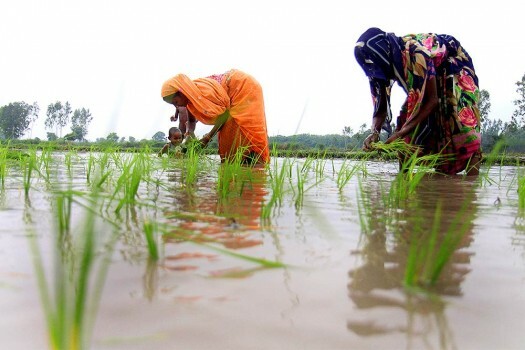 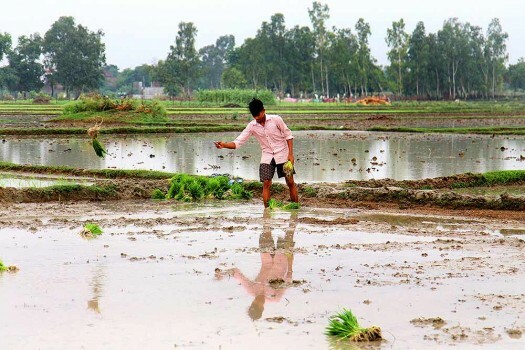 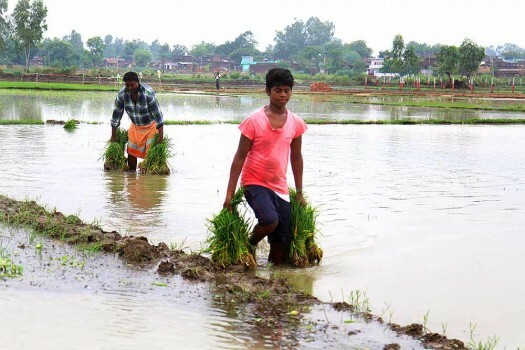 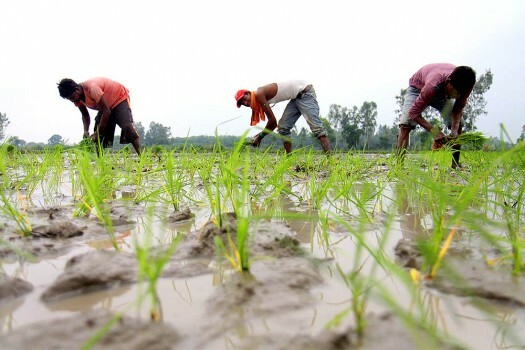 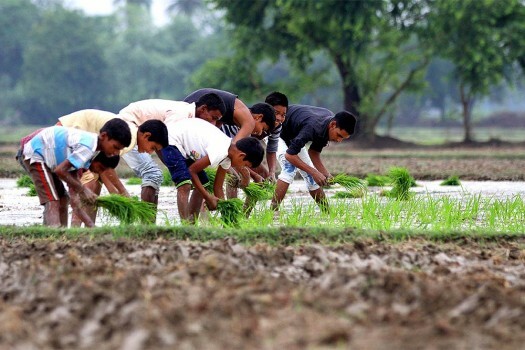 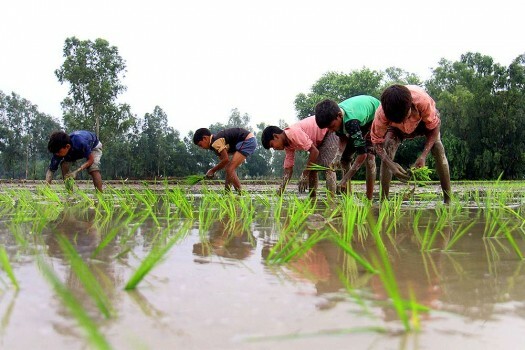 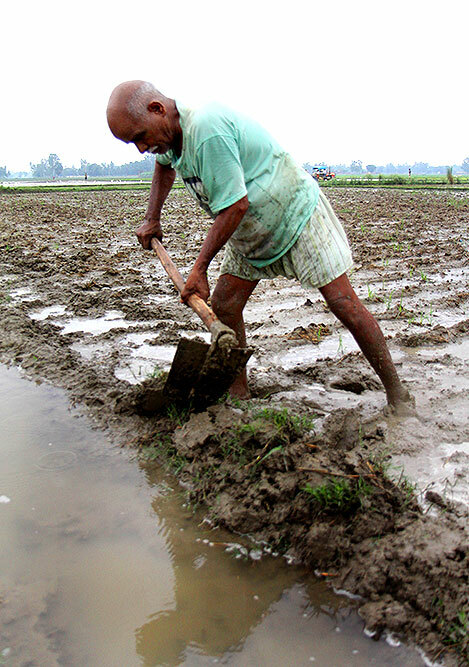 Farmers plant rice seedlings in a paddy rice field. 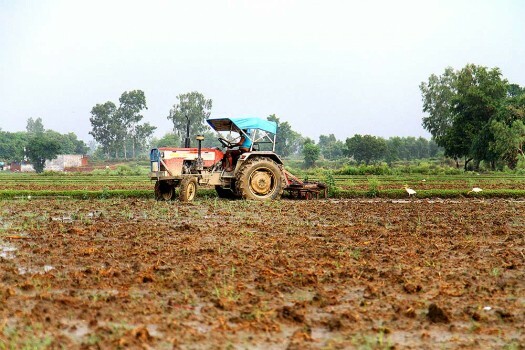 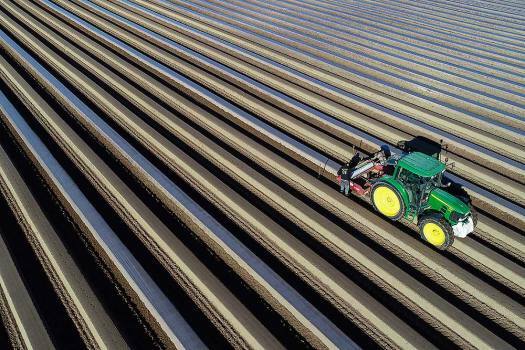 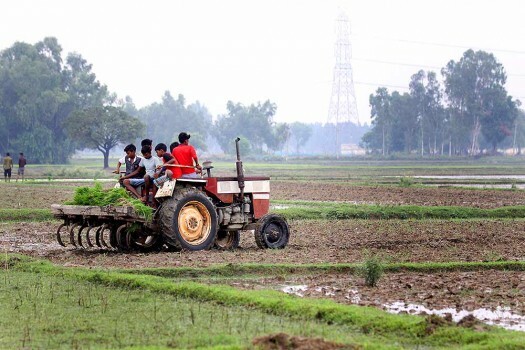 Farmer plows rice fields using a tractor.